As the capital of Lithuania and the country's largest city, Vilnius certainly has a lot to offer. From historic sites to picturesque streets, and amazing architecture, it's hard to keep this beautiful city out of your bucket list. Gediminas’ Tower is a must-see attraction in Vilnius. Today, the historic symbol has become a museum where visitors can learn more about the history of Lithuania. Check out some of these free walking tours of Vilnius for a chance to see the best of the city. This daily tour is led by a group of professional local guides who love their city and what they do. The primary focus of this tour is to give you a breakdown of the history and culture of Vilnius while sharing some fun anecdotes and stories of the city. Listen to stories about Vilnius past and present, and walk to the top landmarks of the city. The guides are great at telling you the historical importance of each landmark and answering any questions you may have. Vilnius Free Walking Tours runs two separate tours of the city. The first is the Free Old Town Tour, a walk through Vilnius’ Old Town and its main attractions. 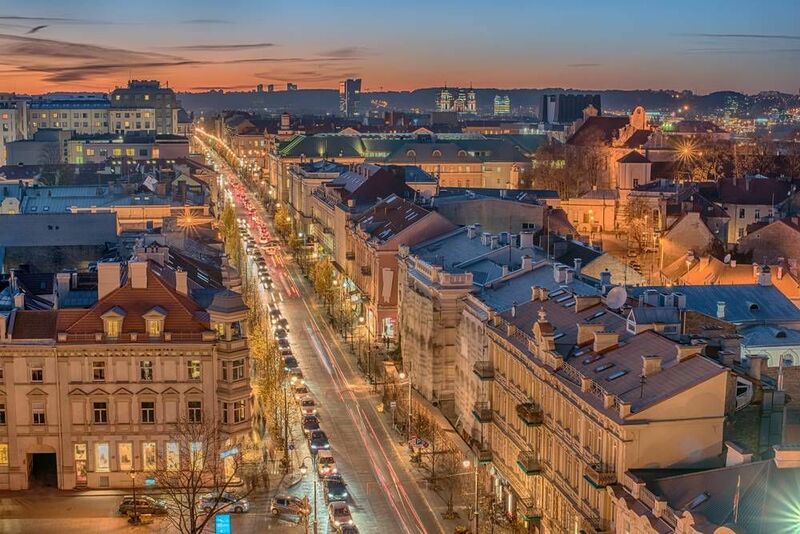 For 2.5 hours, you will visit Vilnius University, the Presidential Palace, and the Town Hall. You will also stop by St Anne’s and Bernardine churches and experience Vilnius’ gothic side. The Free Alternative Tour will walk you for 3 hours through Vilnius’ other attractions. This is perfect for those who have already seen the major sights of Vilnius and are looking to experience the artistic and contemporary side of the city. You will see authentic wooden architecture, the only Synagogue in Vilnius and the Lithuanian writer square. Below you can find more popular (but not free) activities and tours in Vilnius. Are you from Vilnius and want to be a tour guide? Please get in touch by submitting your details on this page!